EB-5 visa USA - The Law Offices of Yuri Tsyganov, P.L. The Law Offices of Yuri Tsyganov, P.L. The Law Offices of Yuri Tsyganov, P.L. is proud to provide our clients with individualized legal advice and EB-5 Visa related services. 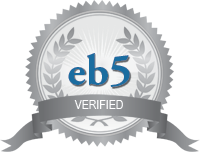 Our extensive experience allows us to take on the most specific and complex EB-5 cases. Through the use of the EB-5 program, our attorneys have helped people from all around the world resolve their immigration issues and start a new life in the United States. We use the latest technology available on the market, which allows us to assist our clients no matter where they are located. In order to provide you with the best legal advice and come up with the most convenient immigration strategy for you and your family, we diligently stay abreast of all of the latest trends and changes in the world of EB-5 law and EB-5 Regional Center practices and regulations. Although the EB-5 program has been in existence since the 1990s, it has recently become the premier choice for immigration and relocation for high-net worth individuals seeking permanent residence (Green Card) in the U.S. Historically, the EB-5 has never had a shortage of available spots and has allowed foreign nationals from all over the world to obtain permanent residence status more economically and expeditiously than most other available immigration visas. The popularity of the EB-5 visa is not coincidental. The EB-5 visa allows you and your family to legally live anywhere in the U.S., start a new business that is totally unrelated to your EB-5 investment, travel freely to and from the U.S., and attend educational institutions of your choosing. The EB-5 category requires an investment of $1 million (or $500,000 in a high unemployment or rural area) in a commercial enterprise that will employ ten (10) full-time U.S. workers. Although the investor’s role cannot be completely passive, he or she does not have to be involved in any way in the day-to-day management of the business unless he or she wants to do so. It is critically important that the investor be able to document the lawful source of investment funds, whether his or her own, or funds given to him or her as a gift. The USCIS is vigilant in its efforts to make sure that the funds invested in an EB-5 project or Regional Center do in fact come from a lawful source. The person making an investment must also meet the Security and Exchange Commission’s (SEC) definition of a “qualified investors”. The investor must either have a net worth of $1 million dollars, or must have earned $200,000 or more USD in the last two (2) tax years, and must reasonably expect to make the same amount in the upcoming tax year. Net worth is calculated by taking liquid assets of the investor, such as real estate, funds in bank accounts, stocks & bonds, and even loans taken out for the purpose of EB-5 investment. The permanent residence obtained by the investor is conditional for two years and can be made permanent upon satisfying USCIS at the end of the two years that the investment proceeds have not been withdrawn and the requisite jobs have been created. This stage is called the “removal of the temporary conditions”. The investor may invest in his or her own commercial enterprise or in a commercial enterprise owned by other parties. The investor may also choose to invest in a pre-approved “Regional Center”. Regional centers are geographical areas for which USCIS has determined that investments will create the necessary ten (10) jobs per investor, whether directly or indirectly, in the geographical area. Virtually all of the Regional Centers are in geographical areas where $500,000 is the required amount of investment. Most of the regional centers involve limited partnership investments for which having the rights of a limited partner is considered sufficient to make the investor not completely passive. At our law firm, we only work with the most reputable Regional Centers in the industry, most of which have a better than 90% approval record with the USCIS. After you choose a Regional Center, we investigate whether it has a proven track record with the USCIS on the issues of job creation and removal of temporary conditions from the investor’s Green Card. The Law Offices of Yuri Tsyganov, P.L., we dedicate ourselves to taking the time to learn and understand each of our client’s cases in order to provide them with the most accurate legal advice. Our attorneys are experienced, ethical, and most of all passionate about their work. Our work does not stop when you receive your visa, permanent residency card, or naturalization certificate. We understand how difficult it is to adjust to life in a new country and the challenges that come along with it. Our attorneys are here to assist you with finding a new home for your family, purchasing a new or existing business, starting a business from scratch, or finding the best school for your children. We can help protect your wealth and assets with accurate tax and personal liability advice and help you understand important State and Federal laws such as the U.S. Tax Code, UCC Sales, and State Probate Law. We are with you every step of the way.